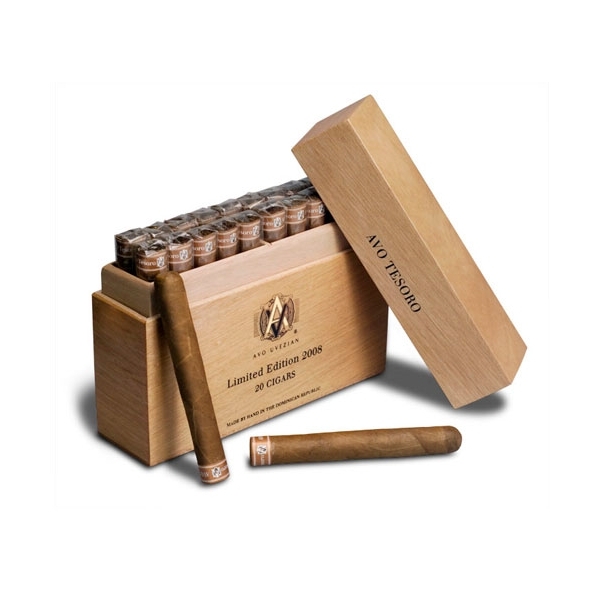 The AVO 2008 Limited Edition Tesoro is a medium bodied toro format, packaged in upright boxes of 20 cigars. 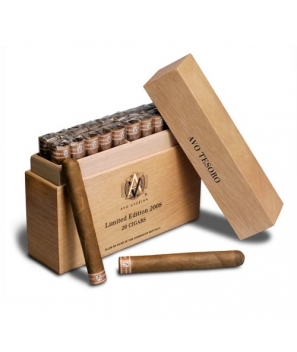 They're creamy character and medium to full body make for a wonderfully balanced smoke for any time of day. Cigar luminary Avo Uvezian is celebrating his 82nd birthday with the release of his 2008 Limited Edition cigar, the AVO Tesoro. The Tesoro, or “Treasure” as translated from Spanish, is the eighth Limited Edition cigar release in the series commemorating the Icon’s birth and will be available exclusively through Davidoff Select Merchant’s.